Bills intended to add more housing in California and protect homeowners after a major wildfire were approved by the Assembly Wednesday. Assembly Bill 2372, introduced by San Diego-area Assemblyman Todd Gloria, was sent to Gov. Jerry Brown’s desk on a 60-0 vote by the Assembly. The bill, dubbed by Gloria as California’s Sustainable and Affordable Housing Act, would allow cities and counties to allow construction of housing units based on a new floor-area-ratio calculation. A city or county could then allow building more, smaller units on a parcel of land than current law allows. Proposed housing would need to sit within a half-mile of a major public transit stop, and 20 percent or more of proposed units would need to be affordable by a person or family making only half the local median income. “The CASA Housing Act is an innovative solution to address California’s housing crisis,” Gloria said. 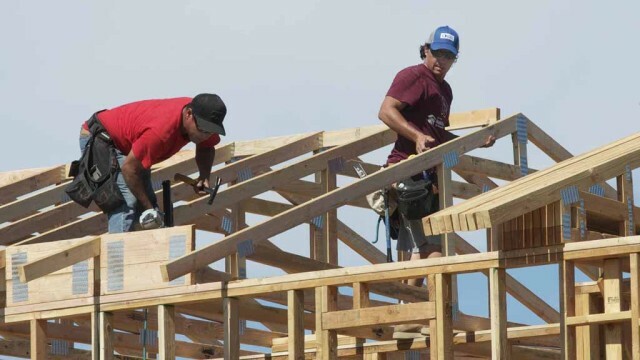 “This bill provides cities and counties with an important tool to produce housing that’s actually affordable to working and middle-income Californians — those feeling the brunt of our housing crisis. The Assembly also passed and sent to Brown Senate Bill 824. That bill, authored by Sen. Ricardo Lara of Bell Gardens, forbids insurance companies from canceling or not renewing a homeowner’s policy for one year after the home has been damaged or destroyed by a wildfire in a declared emergency area. Insurance companies must also report wildfire risk data to the Department of Insurance. Homeowners within a fire’s perimeter or the ZIP codes adjacent to the fire would be protected when a state of emergency is declared by the governor. Brown has declared states of emergency 22 times for wildfires over the last 18 months, including two in San Diego County.